CSV format is actively used for data export and import in various websites, applications and services. If you have a few CSV files with related data and need to prepare their copy comfortable for reading, you need to combine CSV to PDF file that is much easier to read, print and share with others. 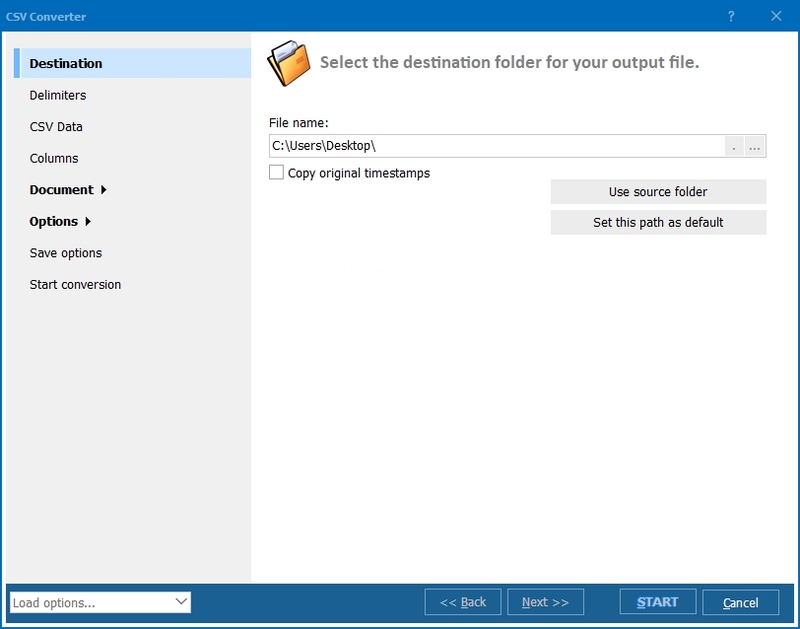 This operation is available in Total CSV Converter, a program created for turning CSV files to documents, images and data tables. In PDF format every single value of CSV source will be turned to a table cell. Data represented this way is much easier to recognize visually. Moreover, PDF format has better characteristics in term of security, as this is a non-editable document type. Make other required settings and press Start! After this the program will merge CSV and convert to PDF format, creating a single PDF with all source data. 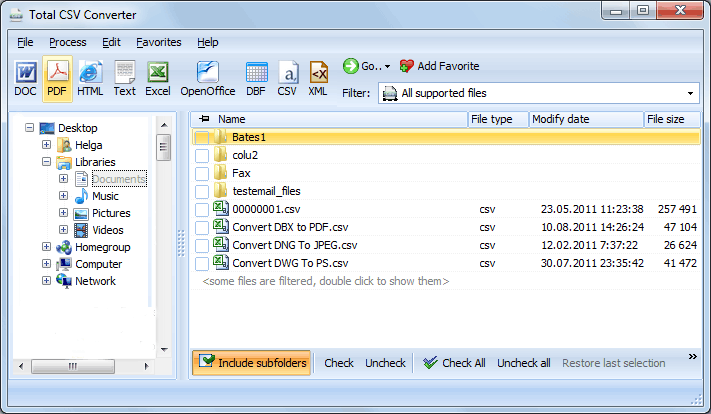 You can also convert every CSV file into a separate PDF, this is just another conversion mode provided in the program. In the combine mode all the source files will be exported to PDF in a proper order. There are a lot of settings that may help you to adjust the output format for PDF copy. 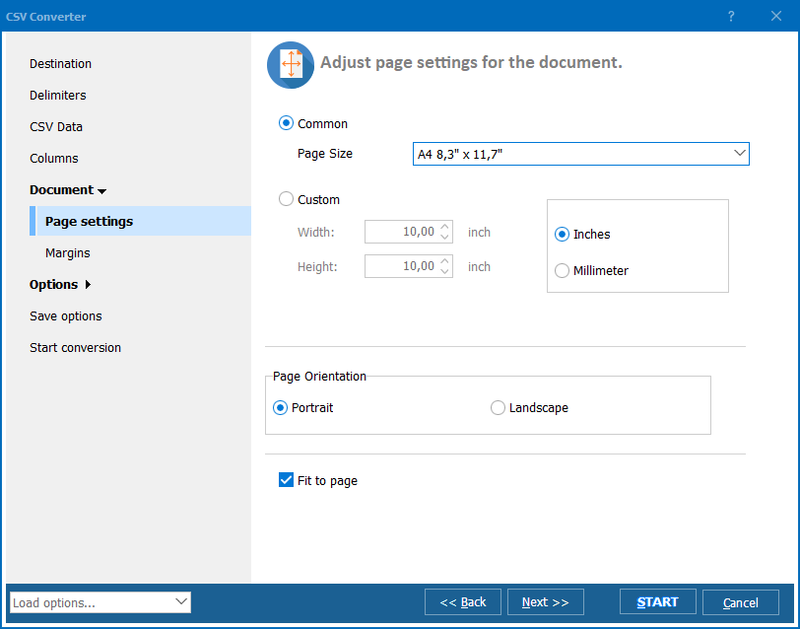 For instance, you can select specific formatting for each data type, select paper format, etc. 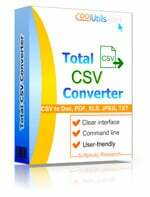 You can even make this CSV PDF converter record settings you selected for desired conversions. They will be written to a bat file that further can be uploaded into the wizard to recreate pre-saved configuration. Try all this in a trial version for free!